As part of our commitment to providing our clients with better and more efficient products, we are pleased to announce that we have upgraded Omnitrack’s workflows. This upgrade improves many aspects of the system and simplifies workflows without changing any of the current functionality. The new version will feel instantly familiar and straightforward to existing users and should not require any new training. VinciWorks’ Omnitrack is a fully flexible, fully customisable data collection tool that can be used by businesses to capture, track and manage any type of information, from registers and assessments to self-reporting forms and notifications. The Omnitrack platform has the versatility and power to log data assets, record complaints and breaches, enable whistleblowing, evidence regulatory compliance and manage other business processes internally, throughout the supply chain or on behalf of independent firms subscribing to outsourced business services. This entry was posted in Course & product updates, Risk, Thought leadership on 29th November 2018 by VinciWorks. Businesses have a responsibility and a legal obligation to follow competition law and ensure staff have the knowledge and understanding to do that. Companies should regularly update such policies. Staff should be made aware that failure to adhere to their company’s competition law policy could result in large fines and criminal charges against individual employees and the company. VinciWorks has created a competition law policy template that is fully compliant with the Competition Act 1998 and the Enterprise Act 2002. What should be included in a competition law policy? Employees must report any activity, transaction or dealing which they suspect may infringe upon competition law to the relevant reporting officer. They must also report all contact with competitors where there was any discussion of contracts, competitors, suppliers, sub-contractors or other relevant external bodies to the reporting officer. Full minutes should be recorded of any trade association meetings that are attended by representatives of your organisation. This entry was posted in Policy templates, Thought leadership on 28th November 2018 by VinciWorks. 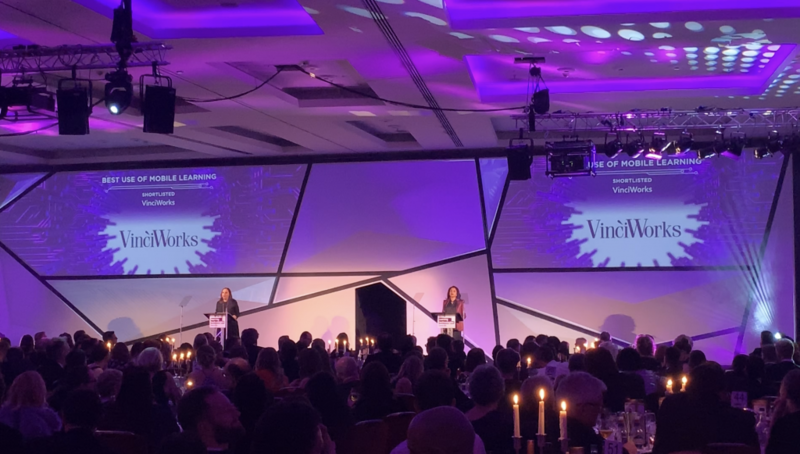 On Wednesday, 21 November, at the Park Plaza Westminster Bridge Hotel in London, VinciWorks attended the prestigious Learning Technologies Awards 2018 as finalists in the “Best use of mobile learning” category for our #MeToo-inspired sexual harassment course, MyStory. The annual awards celebrate excellence in learning technology and this year, up against giants such as L’Oreal, Air France and winners John Lewis, we were honoured to have MyStory nominated. In the category with the most nominees of the evening, John Lewis claimed the Gold award for their series of bite-size, self-led web app resources were made accessible via the device. 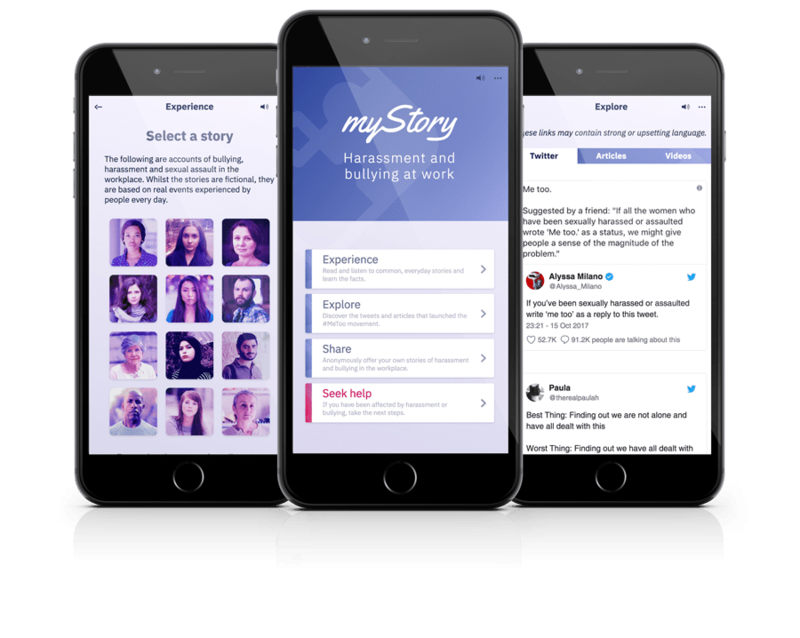 MyStory: Harassment and Bullying at Work directly applies the powerful lessons of the recent global outcry against sexual harassment in the workplace through innovative storytelling and a mobile-first design. Soon to be available to download on app stores for free, the course changes the paradigm of previously ineffective, legalistic harassment training by bringing real stories of harassment to life. The course connects users to a global movement and provides everyone with a safe platform to raise their voice against bullying and harassment at work. This entry was posted in Events, Harassment, Thought leadership on 22nd November 2018 by VinciWorks. In a survey carried out by VinciWorks, a staggering 50% of respondents said they weren’t confident their organisation would deal with a report of sexual harassment very seriously. And worse, 10% of respondents said that they had been shown sexually explicit or inappropriate content at work. The results of this survey and others evidence that in an environment where harassment is tolerated and complaints ignored, abuse will thrive. Sadly, a study by the US Equal Employment Opportunity Commission critically shows that 75% of victims don’t report abuse because they fear retaliation, whilst 75% of victims who did report abuse experienced retaliation. This entry was posted in Harassment, Risk, Thought leadership on 22nd November 2018 by VinciWorks. VinciWorks has released a new mobile-first e-learning course on harassment and bullying at work. MyStory: Harassment and Bullying at Work has directly applied the lessons of the #MeToo movement and the wealth of research into why traditional sexual harassment training doesn’t work to create a brand new kind of anti-harassment experience. #MeToo launched a movement against sexual harassment through the simplest but bravest act of people sharing their stories. Women and men who had been targeted by predators, subjected to appalling behaviors and victimized by their harassers said no more, enough is enough. They gave abusers nowhere to hide, and employers no room to shield the perpetrators. This entry was posted in Course & product updates, Harassment, Thought leadership on 21st November 2018 by VinciWorks. When making any decision, from deciding what to have for dinner to buying a house, many biases can come into play. The workplace is no different, with unconscious bias affecting decisions on a daily basis. For example, the intern may have a great idea that gets shut down because “she hasn’t even graduated yet”, while the almost-retired customer relations manager may raise an important concern that isn’t taken seriously because “he doesn’t understand the system”. In this webinar, Karla Gahan and Dean Hughes explored the biases that play a role in the workplace and how the risk of those biases clouding judgment can be mitigated. This entry was posted in Events, Risk, Thought leadership on 20th November 2018 by VinciWorks. Employees are now changing jobs more frequently than ever and are thirsty to gain new skills. Having a company culture of constant learning and personal development will not only benefit the employee, but also the company. How do you create a learning culture? Any cultural change in a company starts with the leadership. If it becomes clear to a team that their manager has taken on a commitment, the team will begin to realise this is now something important to their manager and, indeed, their company. The next step would be to start encouraging staff to do the same. Taking time out of their workday to learn something new, be it related to compliance or simply to learn a skill that will help them improve at work, will no longer feel like they are not working. Using an LMS to do that helps automate the process of learning, making it easier to assign and manage multi-user learning. Managers should encourage staff to discuss anything they have learnt when staff are chatting by the water cooler and single out individuals for praise when it becomes clear they are using skills and knowledge they have learnt to carry out their work. This entry was posted in LMS, Thought leadership on 15th November 2018 by VinciWorks. Senior Managers and Certification Regime (SM&CR) soon to be enforced in all FCA regulated firms – Are you ready? The Senior Managers and Certification Regime (SM&CR), the new regulatory structure by the FCA, has been applicable to the banking sector since March 2016 and will be implemented to all 47,000 other FCA solo-regulated firms on 9 December 2019. There will be a major transition required for firms and individuals from the existing Approved Persons Regime (APR)1 to the new SM&CR. This entry was posted in Thought leadership on 14th November 2018 by VinciWorks. The Legal Services Board has granted in full the application from the Solicitor Regulation Authority (SRA) for the new SRA Handbook which is set to be enforced in late 2019. In their 150 page Summary of Decision, the Legal Services Board did not find sufficient reasons to refuse the application. Back in August 2018, the SRA applied to the Legal Services Board to approve the SRA Handbook changes as part of their Looking to the Future Program. The Legal Services Board issued an extension notice for their decision following heavy pushback from The Law Society, as well as 128 further representations, the majority supporting The Law Society’s position. However, despite this opposition, the Legal Services Board concluded that the SRA Handbook changes do not meet the refusal criteria. This entry was posted in SRA, Thought leadership on 6th November 2018 by VinciWorks. VinciWorks has produced a comprehensive guide to complying with the latest US sanctions on Iran. The guide has been updated for the end of the 180-day wind-down period. 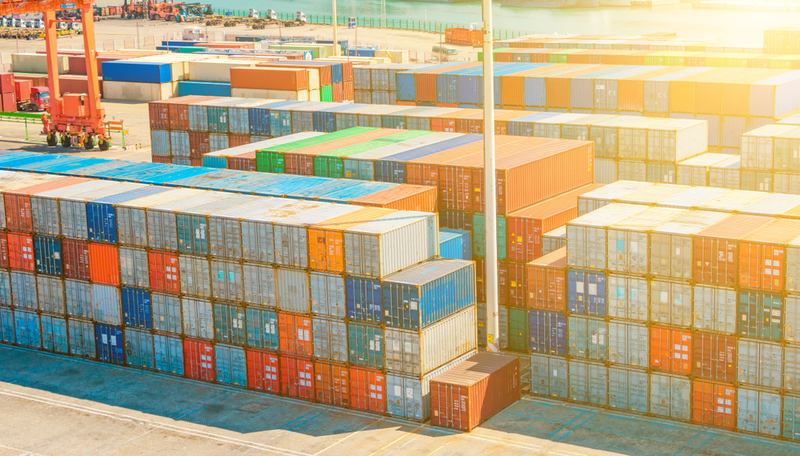 You can also review the original blog from August, giving some background to the US withdrawal from the Iran deal, what it means for businesses, and VinciWorks’ sanctions training tools and policy templates to help you comply. This entry was posted in Thought leadership on 5th November 2018 by VinciWorks.